Tell us the story of how Bayly & Moore came about? 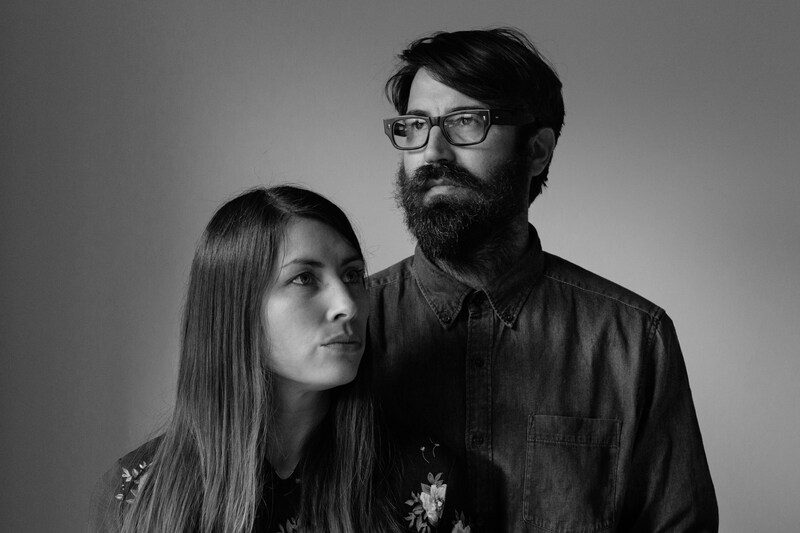 Si was a musician and spending a lot of time recording and touring for different bands and Soph was working as a freelance designer at a few ad agencies, and we were both shooting stills on the side. Soph shot a band Si was playing with at a festival, they met up backstage and the rest is history. We both realised not long after meeting that we enjoyed being around each other romantically as well as creatively and we were both wanting to shoot more and push ourselves to become more focussed on photography, so we threw ourselves in the deep end by shooting a friends wedding and patching together any small jobs we could along the way. The learning curve was steep but wonderful. What are each of your backgrounds? Soph: I studied graphic design at university but what I really wanted to be doing was photography. So after 7 years in the design world trying to work my way up the creative agency ladder while slowly destroying my soul I decided to quit and build my own thing. Si: I spent a lot of years playing music in a whole lot of different settings, touring, recording and all of the grind and wonder that goes with it. Along the way I’d met a load of really great visual artists from all around the world who’re part of the music process – photographers, film-makers, directors, illustrators – and seeing them do their thing really lit a fire in me for that whole side of making art. So I’d started carrying a camera around and documenting the behind-the-scenes side of music and all of the people and experiences that it was leading me into. And then I met Soph, who was having the same experience but coming into it from the ad and design world and we both gave each other the courage to give it a proper spin. We’ve always naturally assumed roles based on our strengths. Soph’s deep in the admin seat with her natural affinity for being super organised and prepared for everything while Si tends to look at the bigger picture and where we wanna get to, but in terms of shooting and editing it’s pretty much 50/50, and our aesthetic styles have merged into being nearly identical over the years. And what do you each love about what you do? 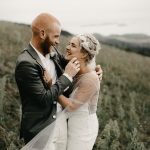 Soph: Like most kids I grew up obsessed with National Geographic and the idea of being a nomadic photographer traveling to the ends of the earth, seeking adventure in crazy places with wild people, and as it turns out, being a wedding photographer is pretty close to that – it’s just way more fun. I get to travel all the time with my husband, shooting in different places, experiencing different cultures, meeting lots of wonderful people and sharing the best day of people’s lives. Si: I’ve been obsessed with some of the great documentary photographers for as long as I can remember, especially because of the breadth of people and light that they shoot, and how their voice still comes through in all of that. I think it’s the equal fascination with people, and places, and objects, all in very different light that means there’s always such a rich vein of stuff to mine when you’re shooting a wedding day – regardless of where it is or how it’s all panning out. Everywhere you look there’s a crazy lil slice of humanity playing out, full of emotion and beautifully messy, and it’s always against a carefully considered backdrop. Ultimately I just love shooting people and all of the ‘storm’ that’s around them, and on a wedding day you get this wild experience of a couple of families opening up their lives and inviting you inside to be a part of who they are and document them with fresh eyes. It’s just too damn good. Where has the job taken you? Early on in the game we were lucky enough to have our work featured on a handful of international blogs and as the invitations came in to shoot more and more around the world we decided that we’d always do our best to say ‘yes’ and figure out the practicalities later, and that approach has taken us into the homes and lives of deliciously wild people all around the world, from Europe and the UK, to all around the US, large hunks of Africa, slices of Asia and South America, and every inch of Australia, New Zealand and the islands. We’ve been lucky enough shoot on every continent except for Antarctica (which is on our wish list) but we’ve also come to realise that there’s no place like home. New Zealand is a pretty great country full of fantastic people, breath-taking landscapes and some very fine light. Kudos to the Shaky Isles. Back in the early days of doing this we came across a Stevie Wonder quote “before you can breathe out, you gotta breathe in’, which really just means that you are what you eat, so we’ve always been careful to try and keep ourselves surrounded by people and stuff that inspires us, in the hope that some of that will show up in our work. We have a pretty extensive record collection that spans everything from John Coltrane to The Japanese House and we buy a coupla new records a week. Books, films, acres of ancient dog-eared National Geographics, all of these things feed us, but probably the most significant inspiration are our friends from all around the world, other artists who sit on our couch whenever they’re in town and wax lyrical about everything possible. Interesting, challenging people are top of the list, every time. 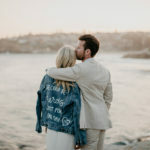 Relationships are what matter most to us and we take really seriously the whole idea of being in this privileged position with a couple on their wedding day. When someone gets to gather everyone they love around them for 12 or so hours once in their life, and you’re right there beside them for all of it? That’s a crazy thought and for us it turns into genuine friendships and really wanting to get to the bottom of who people are and capture THAT. Doing what we do is a lot like being on a crazy camp: you meet all these strangers at the start of the day, you all have this wild experience together as you document all of the emotion and character, and by the end of the night you’re best friends, setting stuff on fire and climbing onto the roof, and then you have to say goodbye… to be honest, we’re addicted to people and trying to capture what it really feels like to be that bunch of humans having that experience, there and then. 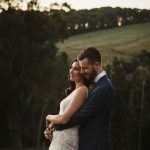 Tell us about some of the most amazing weddings you’ve shot, and why they were amazing? We’ve seen a huge range of weddings from low-budget backyard taco truck weddings to high end ones in thousand year old Italian castles, meticulously styled but what it comes down to with us is relationships. 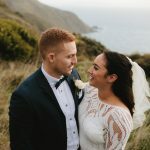 Whenever we connect with a couple on a deeper level and go on to become friends after the wedding, then we remember their wedding more fondly and we almost forget that we were there as photographers. The thing is, it’s not budget or location or how many giraffes or hot air balloons you’ve got that make your wedding amazing, it’s matching your plans to what you genuinely love, and if YOU’RE having the time of your life then all of your people will too. 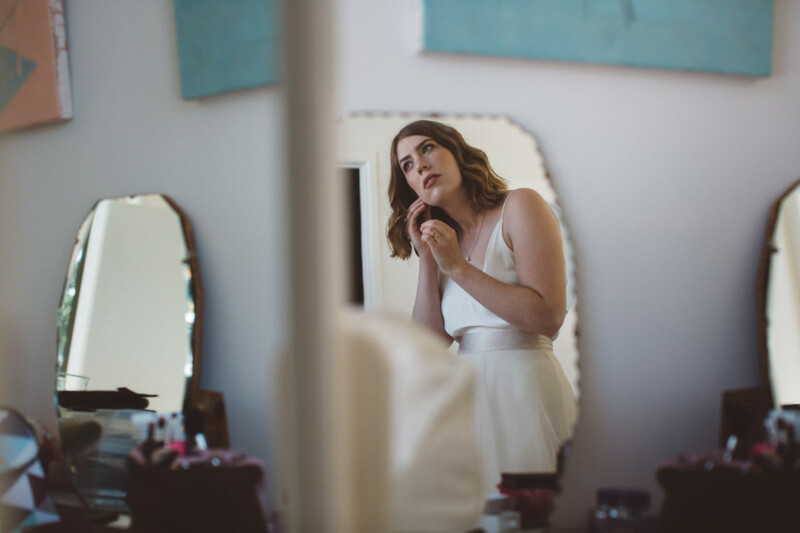 All of the styling and location on a wedding day is really just the frame around the outside of the picture, but the main event is the people, that’s what makes it amazing. Having said that, human beings are aesthetic creatures, so if you can drop everyone into a magic place the chances are that their senses are gonna be heightened and the party’s gonna go into overdrive. Some of our fave locations? 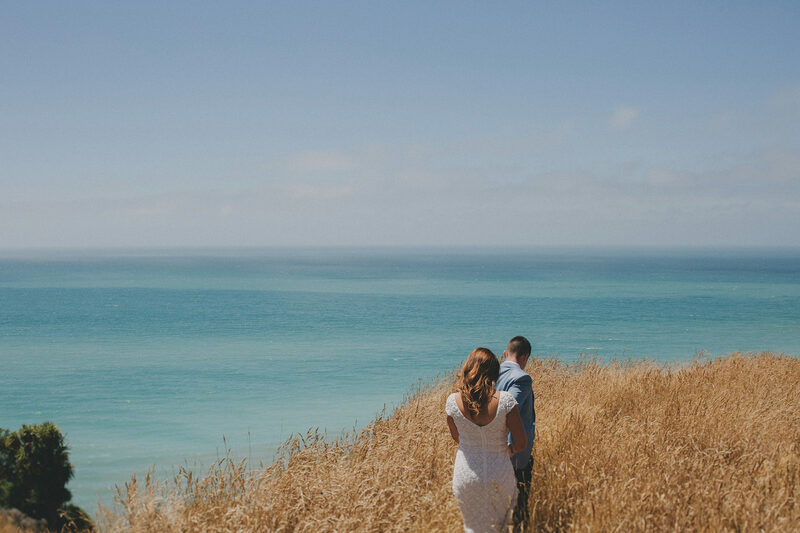 The mountains and lakes of Central Otago in New Zealand, the folksy forest vibes of upstate New York, the California desert is always an insane place to get hitched, the Scottish highlands can turn on some volatile weather but it’s pure magic, the Dolomites in Italy’s north and the Amalfi coast near Napoli are two wildly different spots that feel eerily familiar where you have to pinch yourself that you’re actually there, and the steamy south of the USA is another crazy spot with it’s own culture and food and everything that ends up becoming a part of how you’re celebrating. And some of the coolest/most unique, and why? 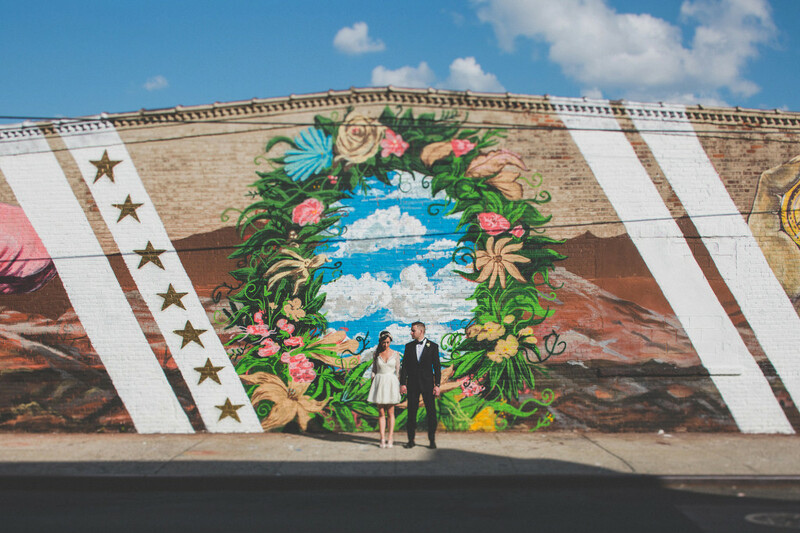 We shot a New York wedding a couple years back in an industrial area in Redhook, Brooklyn. The couple, Annie & Jason, first met on the subway (an F-Train, to be exact) so on their wedding day, after meeting up on the front steps of their Brooklyn brownstone, they let their bridal party take the limo while they walked a few blocks through downtown Brooklyn and then caught that very same F-Train. 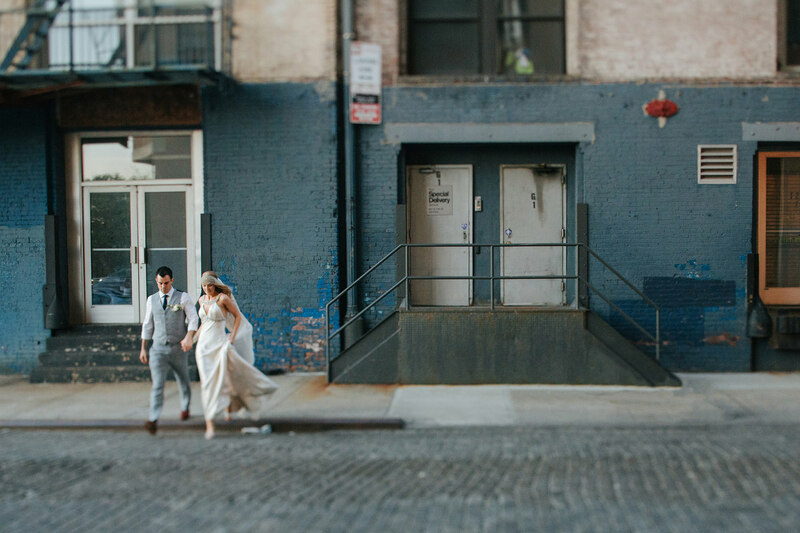 Next thing, Jason’s flagging down a yellow cab and we’re smashing through the narrow streets in time for them to make it to their ceremony on an old wharf – Lady Liberty and a dusky sunset lighting up NYC behind them. New Yorkers are incredibly unselfconscious compared to people in our native part of the world, so moments after you’ve met they’re wearing their heart on their sleeve and showing you who they really are – which makes for a rare intimacy. 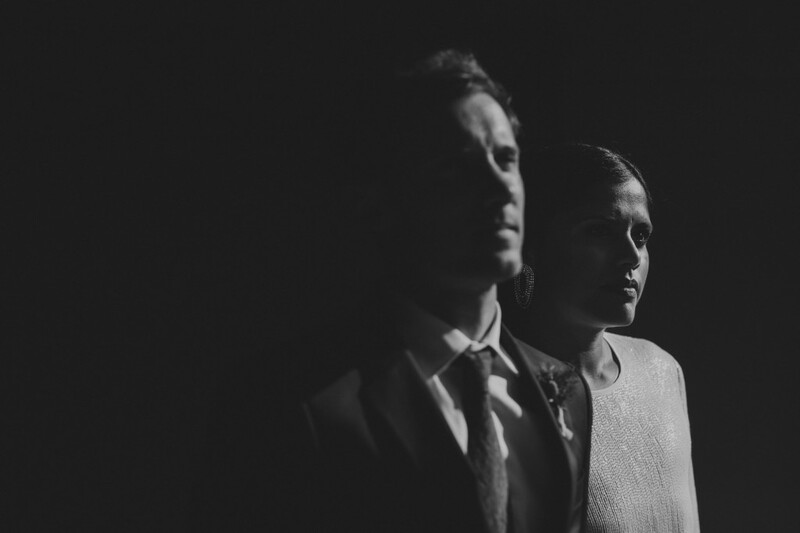 We’ve shot quite a few elopements that always have really poignant backstories to them. 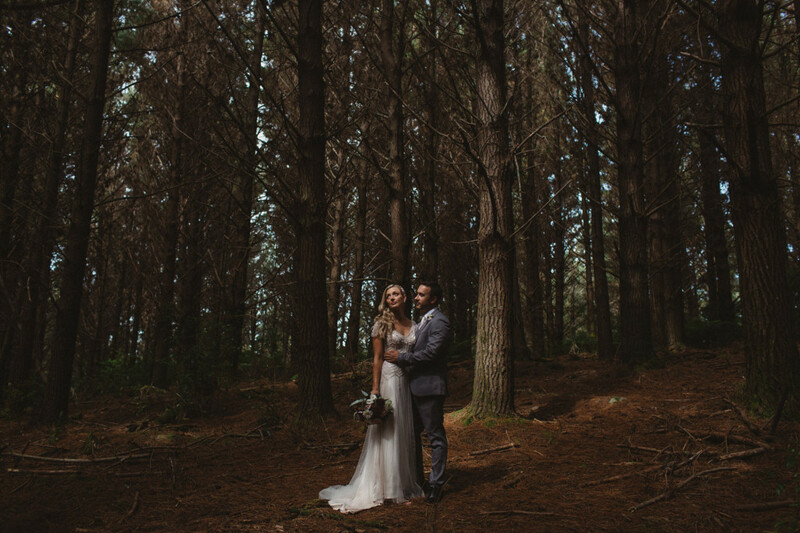 Kate and Goldie got hitched deep in a forest south of Sydney and it was just them, us, and a celebrant. They met up in this little forest glade around a 20 minute walk into the forest, so we walked in with each of them separately and had an amazing experience just being alongside them as they went through all of the emotions that you get from being on your own rather than in the middle of a huge event. 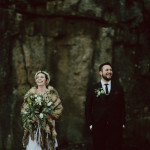 At the end of the ceremony we shot a lil bit of stuff with them and then it poured down raining and we all got soaked to the skin and ran back to the car laughing like crazy and then we towelled off in the bathroom of an old pub and stuffed ourselves with hot chips. Lots of the weddings we shoot are way more than just one day, so we’ll be hanging out with a couple and all of their friends for three or four days in some crazy place and there’s always SO much more going on than just the ‘getting married’ bit. When Antoinette and James got married they brought twenty of their friends and family to this huge Chateau in Saint Emilion, in the south of France, and everyone spent the week exploring the surrounding area and hanging out in this old medieval house and we documented it all, and then they got married in an ancient half-ruined church full of swallows and all of the old people of the village came to see what was going on…. and there were donkeys. When we do stuff like that it generally means that everyone puts down their phones and cameras and devices for the whole time an they just trust us to capture the whole experience, and everyone becomes a lot more ‘present’ and in the moment for days on end. Any tips for soon-to-be-newly-weds in the lead up to their weddings, or on the big day? Question traditions – Do I have to stab a cake late at night when no one feels like cake? Why am I dressing up all my friends in the same dress and forcing them walk nervously down an aisle with 100 people evaluating their outfits? Why do I need to hold a heavy bunch of flowers all day? People often go through the motions and go through certain traditions because that’s just what you do when you get married, like it’ll somehow make you more married. 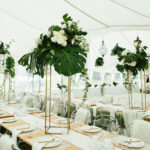 Traditions can be wonderful and add significance to the day, but if you want the day to feel genuine and meaningful it’s better to make a conscious decision to do them and for it to be an expression of your personality rather than just doing what you saw at the last wedding you went to. On the day find ways to stay present. It whips by so fast and it’s easy to get caught in being a host to everyone. This is why couples often go with doing a ‘first look’ and meeting up before ceremony to have some time alone and just enjoy each other without everyone else around. 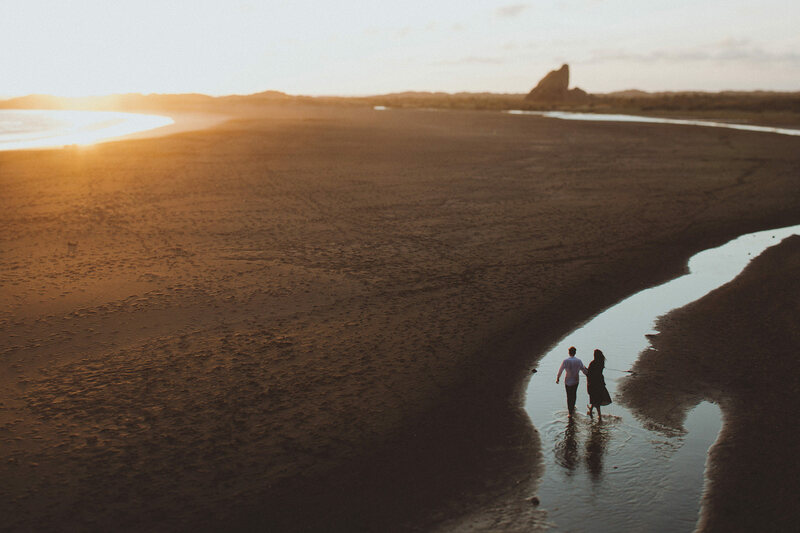 We always try and sneak couples away from the reception around sunset not only to get some killer twilight portraits but so they can have a breather and get back to being present. Also, ban devices. Seriously. You don’t want people watching you on a tiny screen that they’re holding all day long. And for what? To delete it all when they run out of space on their phone? When people are really there with you, looking at you with their own eyes, hearing all of the sounds, engaged with each other, laughing, crying, feeling the wind on their face, it’s a whole different experience for them (and you). You want to look up on your wedding day and see the eyes of the people you love looking back at you, not phones and iPads. One of the biggest questions for most couples is “How do we honour the friends who got us here?”, and there’s so many different ways to do that. For some people that means dressing everyone up the same and lining them up at the front of a church, but for more and more people it means just having your friends around you in all sorts of different ways and at a handful of key moments, but for the rest of the time it’s all about the two of you, not roaming packs of identical-looking girls and guys. There is often so much ‘stuff’ going on during a wedding day that it’s easy to forget that it’s all about the two of you. 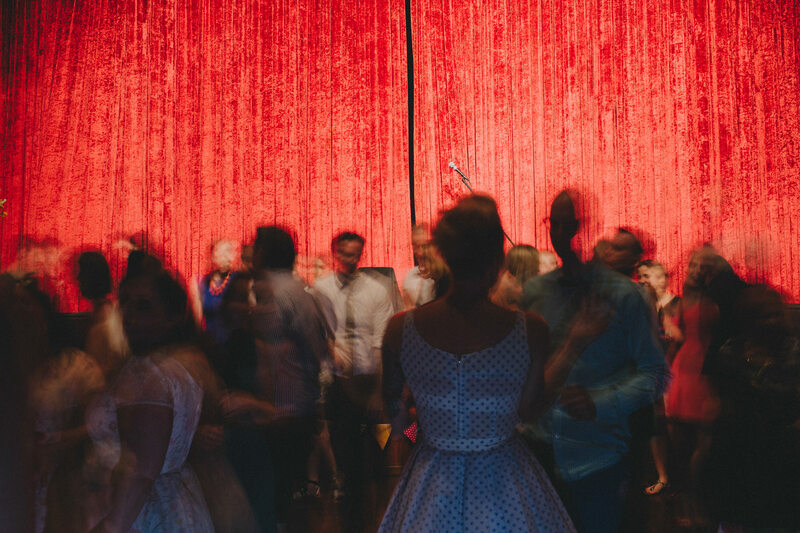 This whole event is built around your love, your intimacy, and celebrating the both of you, and sometimes you have to strip things back to remember that.